G'day mate! In this lesson, we're going to come down from the trees and travel over to Australia to learn how to draw a cartoon koala. These incredible creatures are native to the island and have captivated people for years with their cute appearance and amusing habits. So, let's grab a eucalyptus leaf and some pencils and get ready to do down under! Koalas spend up to 18 hours asleep each day, but our cute critter is wide awake! The first part of learning how to draw a cartoon koala is to sketch out some basic shapes to start us off. In this instance, we're going to start with the head, so let's draw a large shape with a smaller shape inside, as in our illustration. Now we've got the basic shape of the head, let's add to this by sketching in some ears, eyes and the body. Draw the ears as two large upside-down 'U' shapes and then draw two small circles either side of the smaller shape you drew earlier for the eyes. The next part of learning how to draw a cartoon koala is to begin sketching the body – draw another shape beneath the head about twice the size. 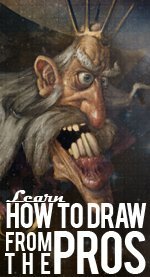 Are you enjoying learning how to draw a cartoon koala? Now that we've got the basic outline of our awesome Australian buddy, it's time to add some more lines to start defining the shape of this marvelous marsupial. First of all, add some eyebrows directly above the small circles you drew for the eyes, then begin drawing the arms and legs by sketching in two curved vertical lines to the right of the body, followed by an large upside-down 'U' shape and a smaller upside-down 'L' shape beneath it on the left-hand side of our koala's body. At the bottom left of the body, draw a small bump to represent our cute critter's tail. The next stage in learning how to draw a cartoon koala is to add some more details which will really bring our cute critter to life and create personality!Let's finish off those big koala ears by drawing two jagged shapes for the inner ears – this will give the impression of fur covering our cute critter's body. Next, let's get to work on those arms and legs, which help our furry friend climb trees in search of tasty eucalyptus leaves! Did you know the koala is one of the few species that can eat these? That's one clever piece of evolution! Draw the arms almost as if they were human arms, adding three fingers to the hand on the left – the other hand is seen from the side. Talking of hands, did you know that koalas have fingerprints similar to ours and two thumbs to give them a better grip when climbing trees? Amazing! Now, let's finish off the legs by continuing the lines we drew in Step 3 and adding two feet, one of which has three toes and is seen from the front. Again, these are almost like human legs, don't you think? Now that we've learned how to draw a koala, let's add some color to our awesome Aussie to give our illustration that all-important finishing touch! STEP-5: Get Ready for Some Koala Color! Now that you've learned how to draw a cartoon koala, let's finish off our cool critter by adding some color! First of all, take a dark green pen and draw the outline before rubbing out any lines you don't need. Then, use this same color for the eyes and nose, remembering to leave a small area white in each to represent highlights. Next, take a lighter shade of green and color in all of the body apart from the arm and leg on the right-hand side. Finally, select a medium shade of green and color in the inner ears and the arm and leg on the right-hand side – this helps create a sense of shade and makes our cartoon koala look 3D. Awesome! Our marvelous marsupial is all done and ready to climb some trees and grab some tasty leaves! We hope you enjoyed leaning how to draw a koala – now that you've mastered illustrating this sensationally sleepy creature, why not draw him sitting in a tree or eating some eucalyptus leaves? Alternatively, you could draw a female koala, who carries her young around in a pouch just like the kangaroo. See you next time for more drawing fun!